Fannie Mae and Freddie Mac on Monday announced details of a controversial plan to allow some first-time homeowners to obtain a mortgage while putting down just 3% of the price of the home. The shift back toward low down payments has drawn intense criticism from an array of legislators and lending and housing experts who say the plan revives the same lax lending practices that led to the 2008 financial crisis. In a statement, Fannie Mae said the loans that allow for 3% down payments will be held to the same eligibility requirements as other Fannie loans, including underwriting, income documentation and risk management standards. In addition, Fannie said the loans will require mortgage insurance “or other risk sharing,” the same as Fannie loans that require a 20% down payment. Critics of the plan aren’t as confident. In the aftermath of the 2008 financial crisis, which stemmed directly from the collapse of the U.S. housing market as millions of Americans defaulted on their home loans, Fannie Mae and Freddie Mac were accused of easing credit both in an effort to promote loans under pressure from both Democratic and Republican administrations to increase home ownership, as well as to boost their own profits. Many private lenders were accused of relaxing their lending standards for the same reasons. In its statement Monday, Fannie included a laundry list of precautions ingrained in the new 3% down payment plan to ensure that borrowers can repay the money and that taxpayer won’t be on the hook if they can’t. For instance, Fannie will require income documentation to avoid “low-doc” or “no-doc” lending, and will require income verification, two practices that fell out of favor as the housing bubble expanded in the early 2000s. Since the housing bubble burst, sending the U.S. into a deep recession, lenders have been enforcing far tighter credit standards, making it difficult for many first-time home buyers to scrape together a down payment and qualify for a mortgage. Consequently, despite historically low interest rates that have brought mortgage rates to their lowest levels in decades, many consumers haven’t been able to get approved for a mortgage and the U.S. housing market has struggled to gain traction as the economic recovery slowly moves forward. Fannie and Freddie found themselves on the verge of collapse at the height of the financial crisis and were taken over by the government in 2008 and ultimately kept afloat through a $185 billion bailout. They quasi-government agencies remain in conservatorship. Congress has been fighting over whether to reform the existing agencies or scrap them altogether. Earlier this year, a bipartisan Senate plan to replace Fannie and Freddie as part of a broader housing-finance overhaul stalled. For more about this article go to Fox News. 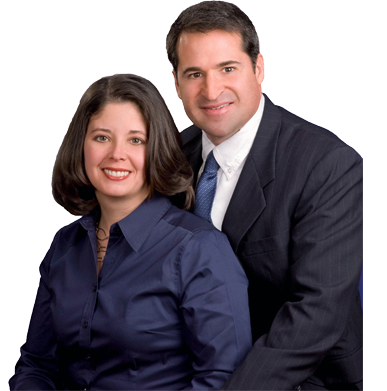 Kim and Dave Stone are your exclusive Williamsburg VA REALTORS. Their local knowledge and experience will guide you to the perfect Williamsburg VA or Hampton Roads VA home. Whether you are buying or selling a home or condo in the Williamsburg VA area make sure you contact The Stone Team. We are your Williamsburg VA Realtors. The #1 Realtor Team for all your Williamsburg VA and Hampton Roads Area real estate needs. To get started, please view some of the searches below or visit our website at: www.TheStoneTeam.com the #1 resource for all your houses for sale in Williamsburg VA. Call us today at: 757-565-1043. The works of Leonardo da Vinci will open at the Muscarelle Museum of Art in February of 2015. “Leonardo da Vinci and the Idea of Beauty” will feature about 30 of the master’s works, including a self-portrait. Visit The Virginia Gazette for more about the Muscarelle Museum’s Leonardo da Vinci exhibit in Williamsburg VA. Contact The Stone Team for all your Williamsburg VA Homes for Sale. The Stone Team never forgets you have a choice! The Stone Team would like to wish you a wonderful holiday season. Stay safe and may you be filled with the joy of the season.